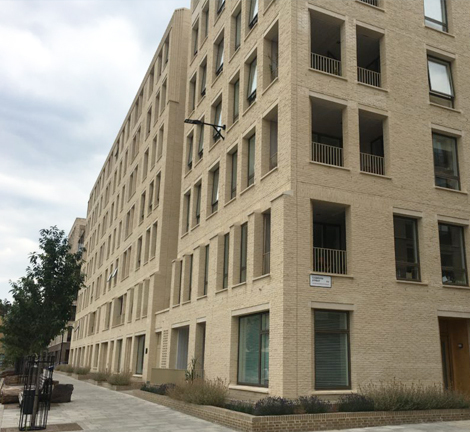 New Build – Onyx, Camley Street, Kings Cross. Onyx, Camley Street, Kings Cross. 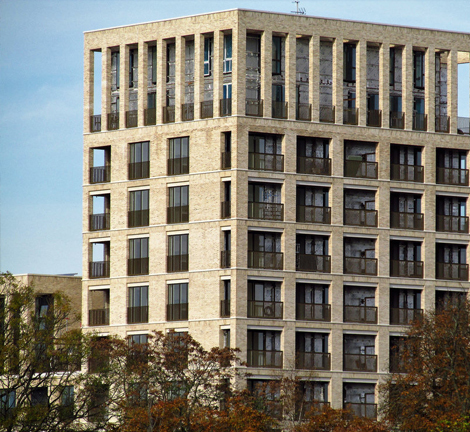 Medium to high rise residential building incorporating traditional curtain walling, modular large span window and door components, designed and fabricated by established Latvian-based façade specialist, traditional feature brickwork banding, panelised mixed medium rainscreen treatments to terraces and balconies, completed Autumn 2018. 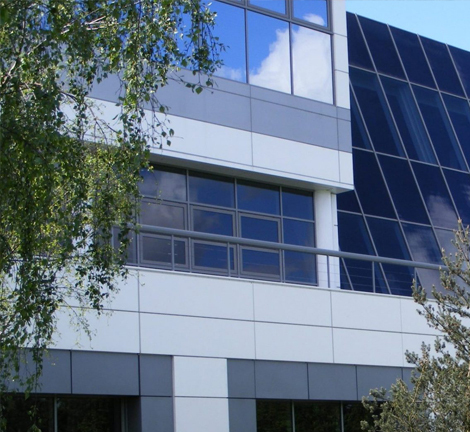 Full façade consultancy and inspection services. 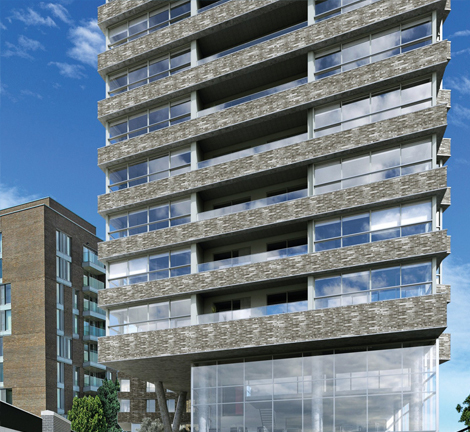 New Build – Kings Crescent, Haringey. 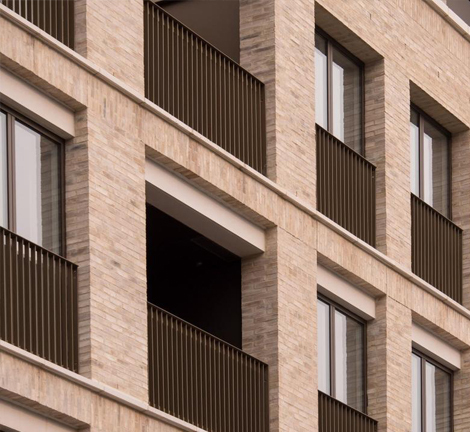 Medium to high rise residential building, incorporating modular composite window and door components, traditional feature brickwork banding, panellised mixed-medium rainscreen treatments to terraces, completed Summer 2017. 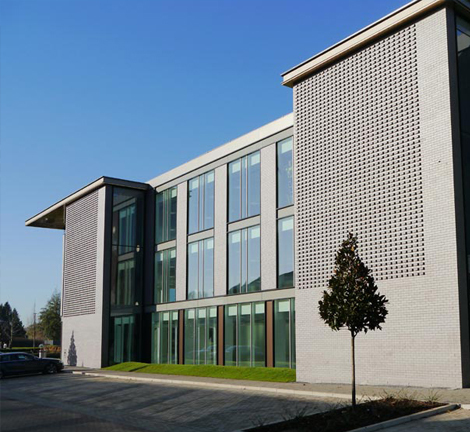 New Build – Croxley Business Park, Watford. 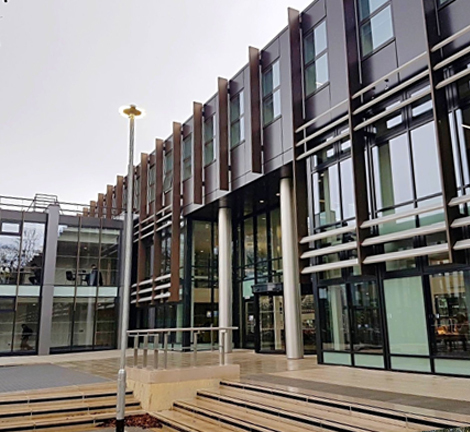 Low rise CAT A commercial office building, semi-unitised glazed curtain walling and feature slip-brick rain screen products, designed and fabricated by established UK-based façade specialist, completed Summer 2017. 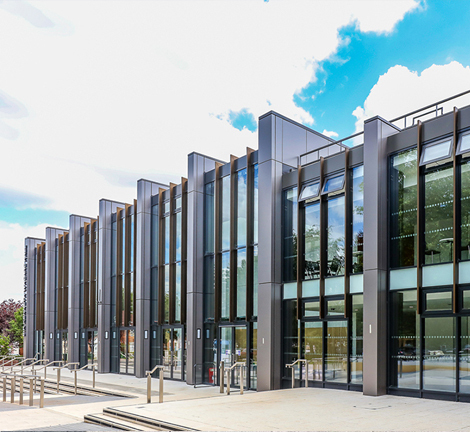 Refurbishment & Partial New Build – Oxford Brookes University Clerici Building & Library. 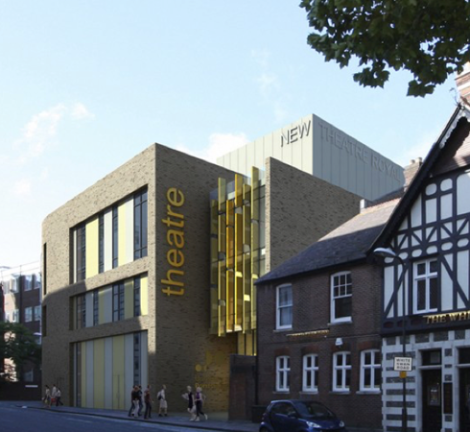 Remodelling of existing library building and construction of new extension, to incorporate new façade and building envelope to meet current legislation, all external façade products including curtain walling, composite rainscreen, windows. 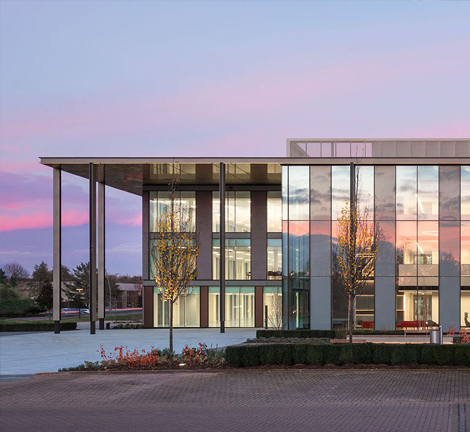 doors, atrium roof and interface details between existing and new were designed, fabricated and installed by Northern Ireland-based façade specialist, completed circa Spring 2017. 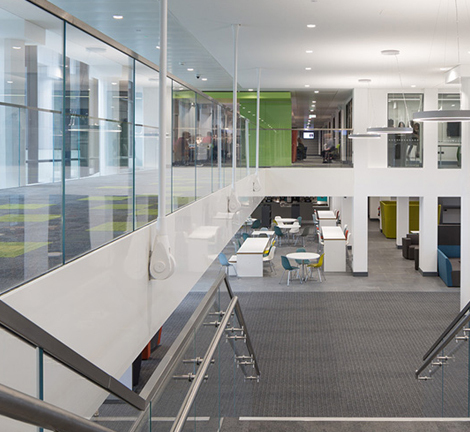 Refurbishment – No.2 Guildford Business Park. 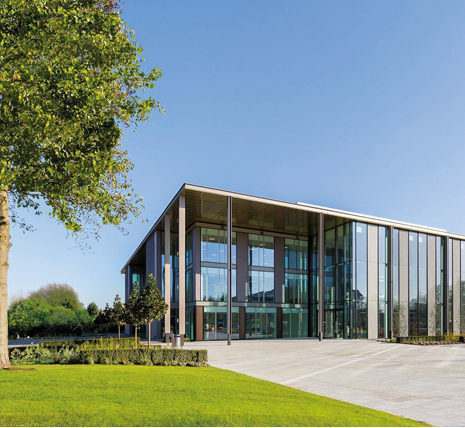 Remodelling of existing commercial office building, to incorporate new façade and building envelope – to meet current legislation – all external façade products including curtain walling, composite rainscreen, windows, sliding doors and internal atrium were designed, fabricated and installed by Czech Republic-based façade specialist, completed Spring 2018. 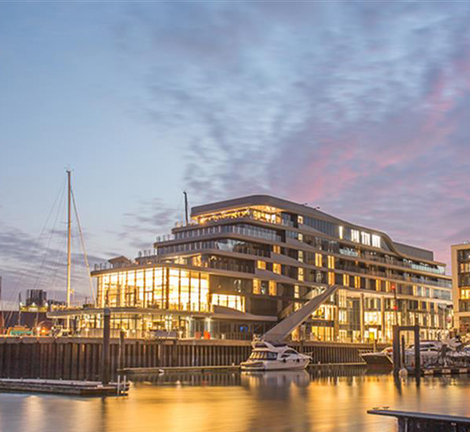 New Build – Southampton Harbour Hotel. 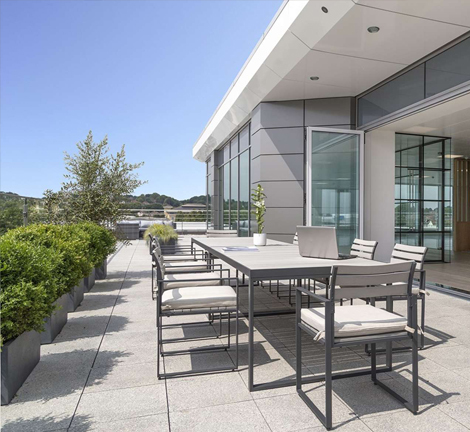 Stepped-effect, large-span, curtain walling, windows, sliding doors, sweeping fascia rainscreen and associated glass products. 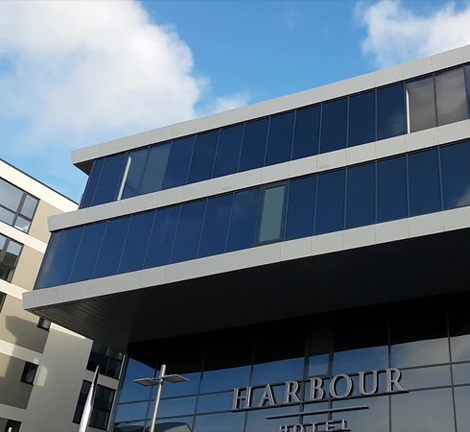 Designed, fabricated and installed by Istanbul-based façade specialist, replicating the appearance of an Ocean Liner, to complement the maritime heritage of Southampton, completed Autumn 2017. 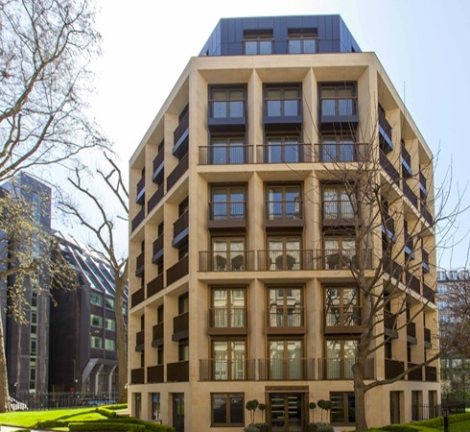 New Build – St. Dunstan’s House, London. 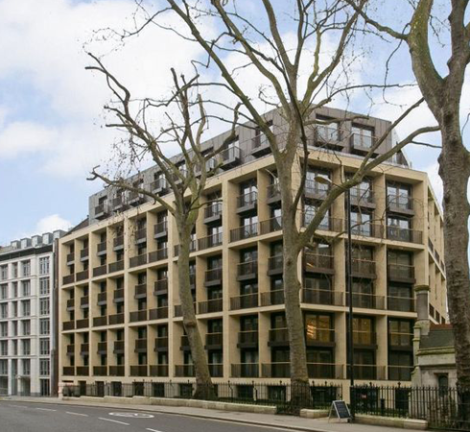 St. Dunstan’s House, Fetter Lane, London. Reddington Group on behalf of Taylor Wimpey. 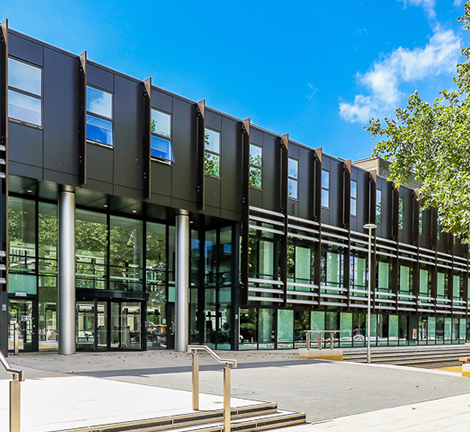 A high-end, luxury 8 storey residential building with a modular bronze anodised rain screen; bronze anodised opening window/door vents and unitised pre-cast concrete panels clad with stone (Techrete) façade, completed during the autumn of 2014. 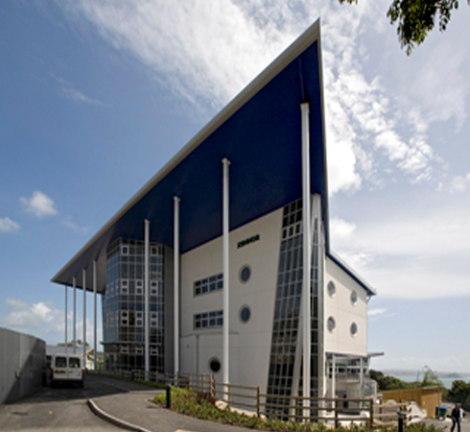 Full façade consultancy for Penwith College. 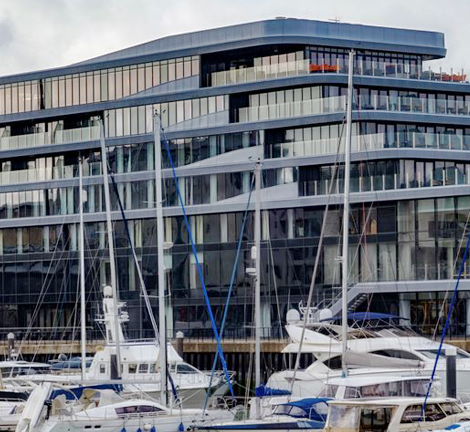 New Build – Penwith, Cornwall, UK. 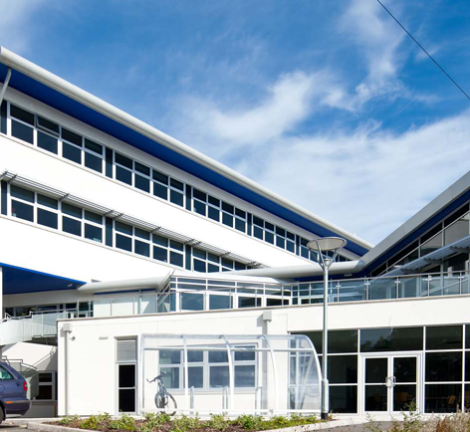 A series of educational buildings located in Penzance, Cornwall; we provided full façade consultancy services. 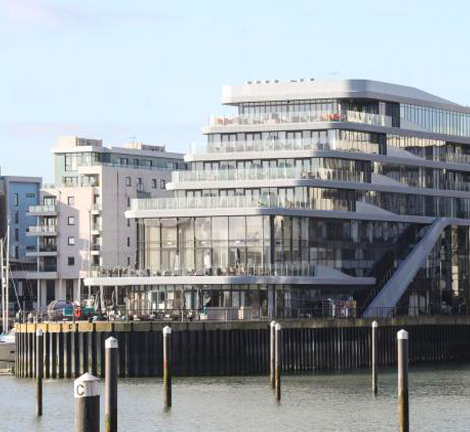 A residential development located on the waterfront at Ocean Village, comprising of 1no. 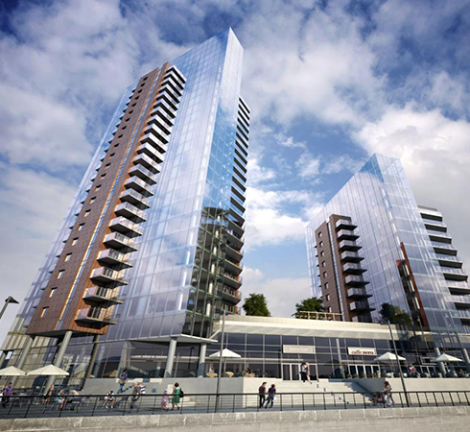 – 26 storey block, 1no. 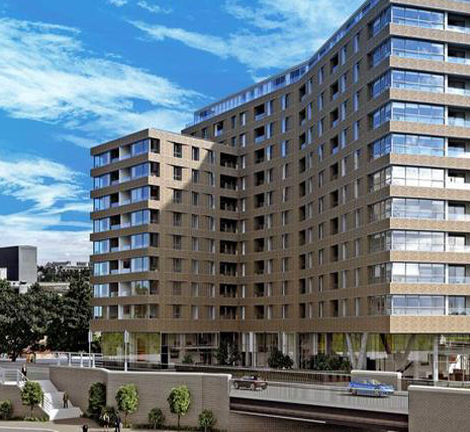 – 14 storey block & 1no. 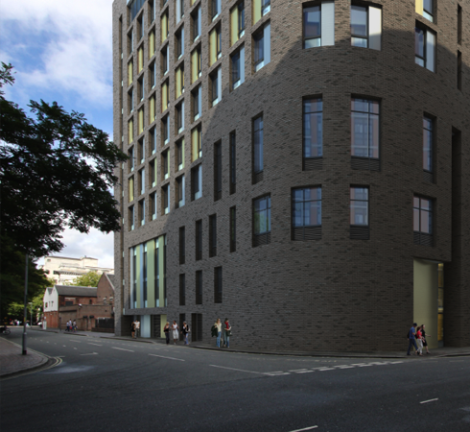 – 9 storey block. 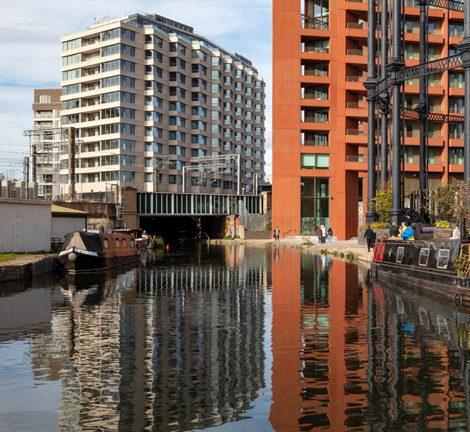 The external façades incorporate bespoke, structurally-glazed, unitised modules, combined with decorative terracotta and bronze seamed panels. 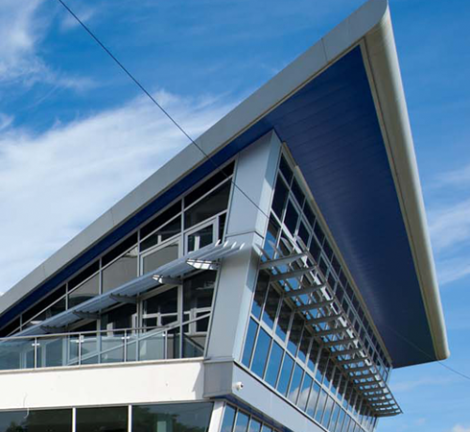 All systems were designed and manufactured in Dubai UAE, the project commenced October 2012 was completed in December 2014. 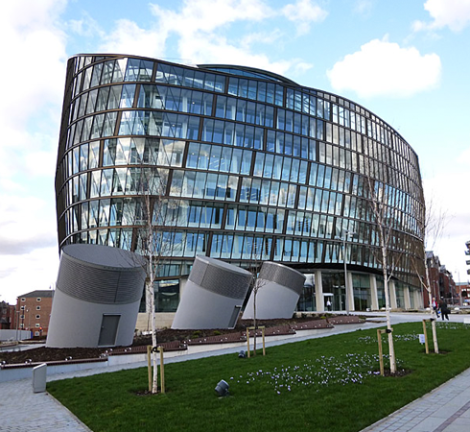 Provision of Façade Consultancy ‘Compliance’ monitoring services. 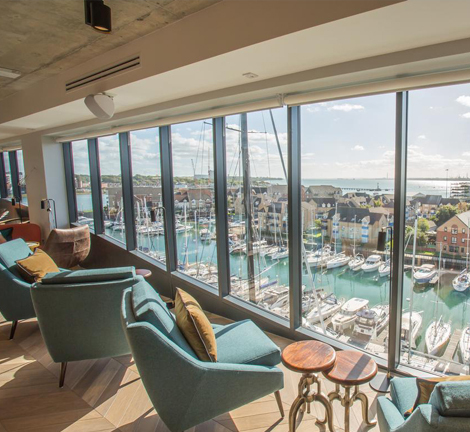 Extension and Refurbishment – Portsmouth. 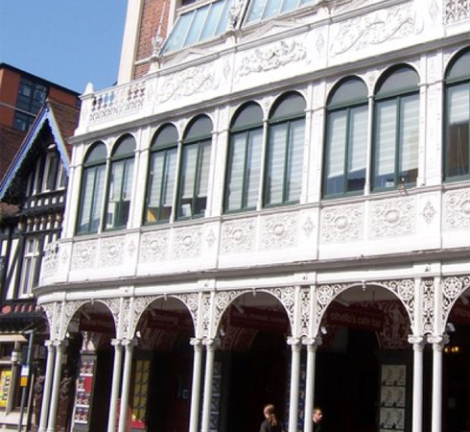 Provision of Façade Advice on listed façade, undertake full in-depth, dilapidation and condition, survey of internal and external aspects of existing structure, and monitor appropriate stages of specialist refurbishment of this historic grade 2 listed theatre applicable, to the building envelope. 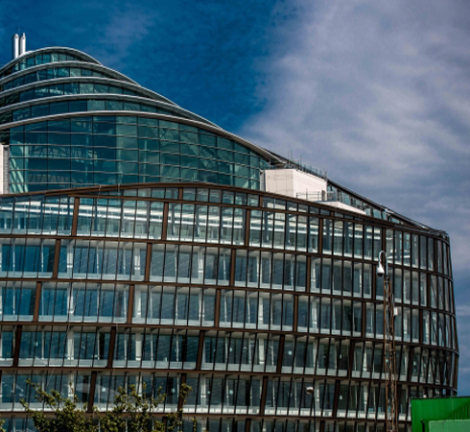 One Angel Square ‘new Co-operative headquarters’ Manchester. 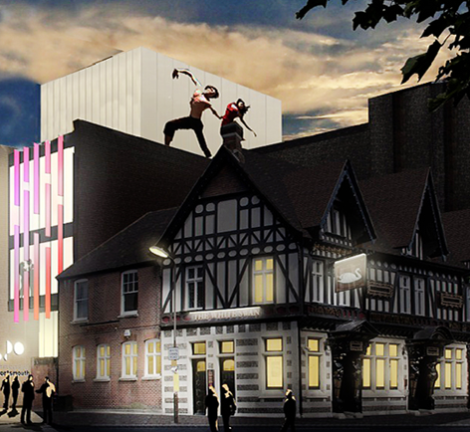 BAM Construction Ltd (North West) on behalf of The Co-operative Estates. 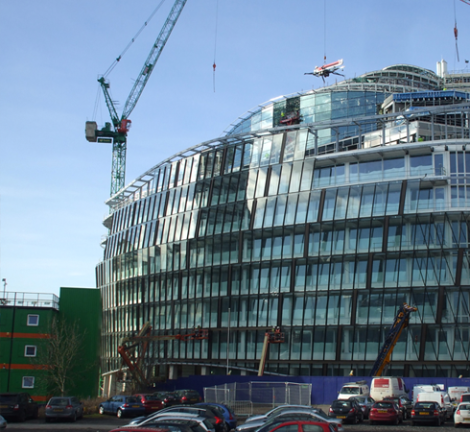 Iconic BREEAM ‘Excellent’ Rated 16 storey Commercial HQ Building, the external façade is comprised of bespoke twin skin, traditional curtain walling and rainscreen to terrace areas, along with a feature, bespoke, lattice effect, double-curved steel atrium. 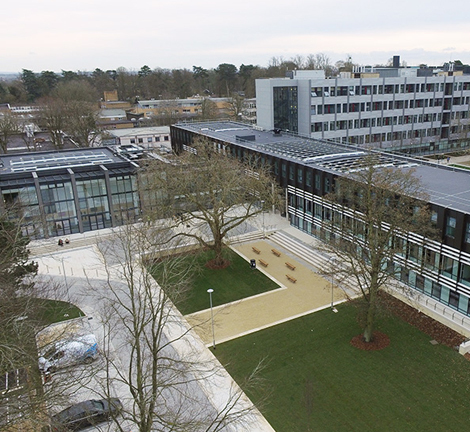 All systems were designed and manufactured in Austria, Czech Republic and Hungary, from October 2011 and completed in early 2013. 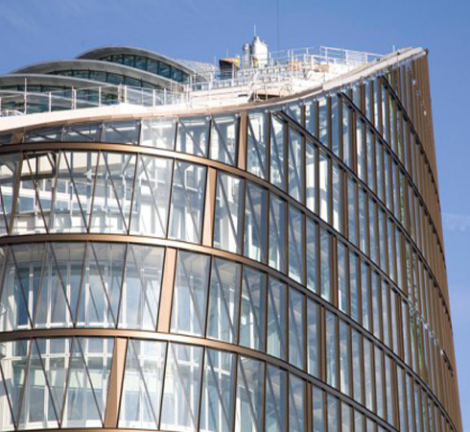 Provision of Façade Design ‘Compliance’ co-ordination and on-site monitoring.